You would be hard pressed to find someone whose food journey comes close to that of Chef Rathbun. His fascination with food began at the tender age of 9. When most kids are learning to field a ground ball, he was obsessing over back-of- the- house prep, learning the skills and commitment to excellence that has driven his approach ever since. He began his professional career as an apprentice at Lo Bonne Auberge, a 5-Start French Restaurant in Kansas City. 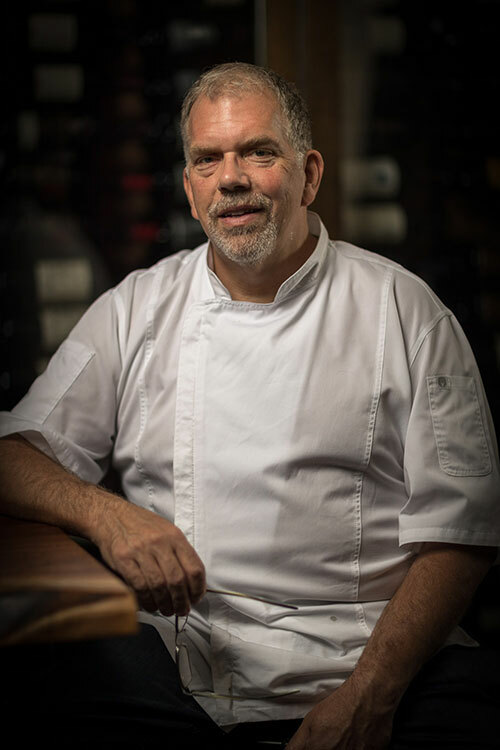 From there he worked under some of the best chefs in the country with stints at Mr. B’s in New Orleans, Kansas City’s American Restaurant and Milanos, Dallas’ Mansion on Turtle Creek, The Landmark and the Warwick Melrose Hotel. In 1997 he established Abacus, winning just about every award in sight, including Bon Appetit’s “Best of the Year” and was awarded Four Diamonds by Mobil. Soon after, he added Jaspers to his resume that featured the best of “gourmet backyard cuisine”, and another slew of awards followed. Not content to sit still – anyone whose has been around Kent knows his mind and body are in constant motion – he created a catering operation and his own exclusive line of products, designed for home cooks.